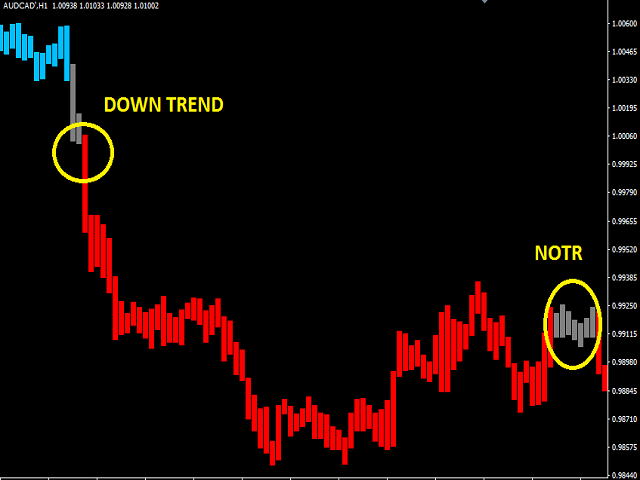 Trend Bars indicator is a trend indicator working with a set of algorithms and a set of indicators. Trend finds trends by using many factors while you are there. This indicator has 4 mode features. Mode 1 represents short-term trends. Mode 2 represents medium to short term trends. Mode 3 represents medium to long term trends. Mode 4 represents long term trends. 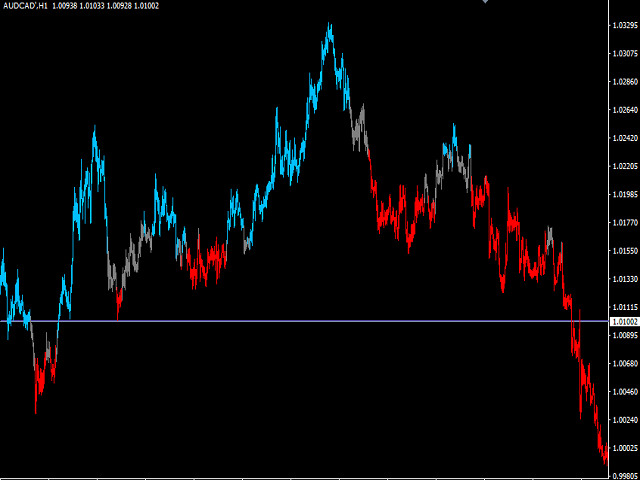 Easy to use and simple indicator. The user can easily understand the trends. This indicator has 3 trend features. Up trend, down trend and neutral features. 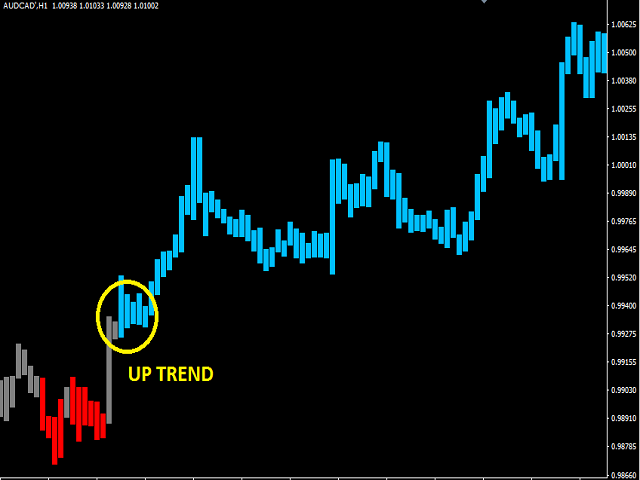 The user can use this indicator alone and in conjunction with other indicators appropriate to his strategy. This indicator has 4 mode features. Mode 1, short-term trend. Mode 2, medium short-term trend. Mode 3, medium long term trend. Mode 4, long-term trend. Up trend: DeepSkyBlue color is set up trend. Down trend: Violet color is set to down trend. Neutral: gray color is set to neutral. This color is not trendy. You can adjust these colors as you like. There are also trend width features. Mode - Mode 1, short-term trend. Mode 2, medium short-term trend. Mode 3, medium long term trend. Mode 4, long-term trend. UP_color - up trend color adjustment is done from here. UP_width - up trend width setting is done from here. DOWN_color - down trend color adjustment is done from here. DOWN_width - The down trend is set from the width of the width. NOTR_color - neutral color adjustment is done from here. NOTR_width - the neutral width setting is made from here. Just recently purchased this indicator. Really like how it works, Mode 4 on the 15 minute chart looks very promising with my current set up. Please add notifications to this one if you can! use mode 4 and mode 2 for enter and mode 2 for exit! 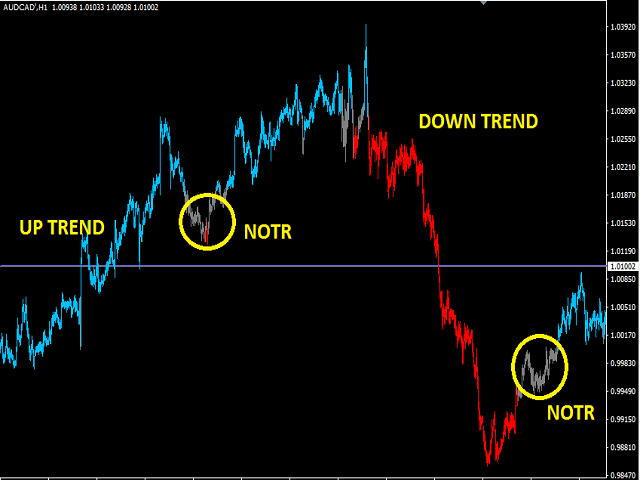 indicator best win if have long trends up or down.